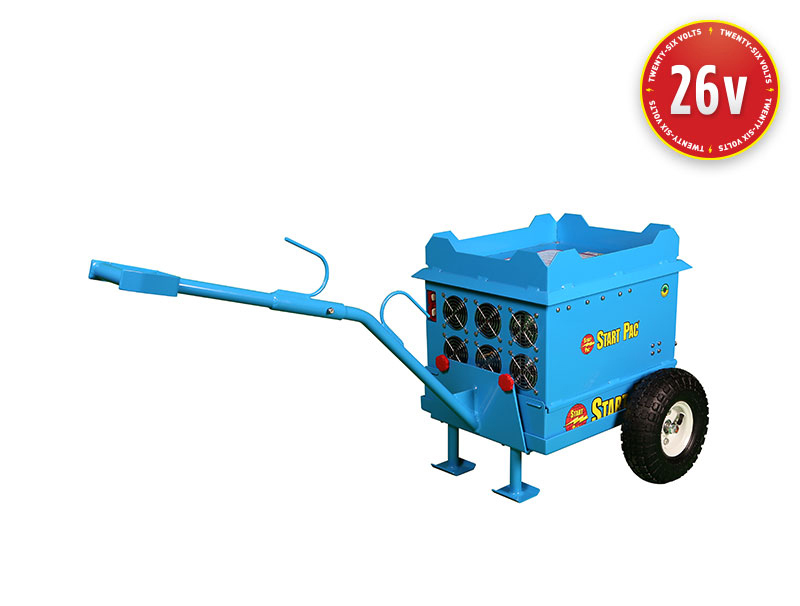 Introducing Model Li3326QC-200, an advanced patented ground power unit (GPU) produced by Start Pac. The patented Quick Change design allows for 10 second battery changes in the field without tools, training, or downtime. These GPUs are designed for ground use in performing engine starting and maintenance functions for voltage sensitive aircraft. The Li3326QC-200 has a large maintenance free safe and proven lithium ion battery with a 62AH capacity for engine starting as well as a 200-amp power supply for powering aircraft systems. 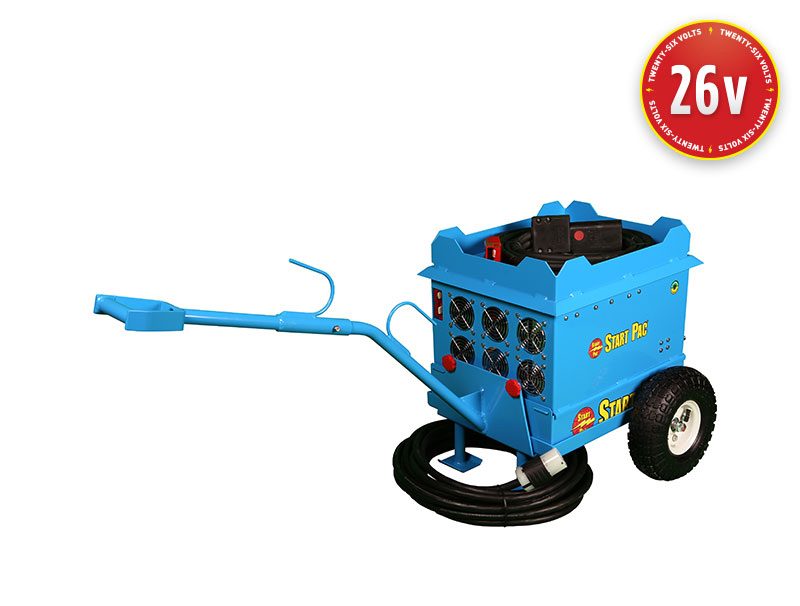 The 200 amp power supply provides 28.5V clean unlimited continuous no duty cycle power when connected to 220 Volt AC. The depleted batteries of this GPU can be recharged in a matter of hours with the built-in battery chargers. 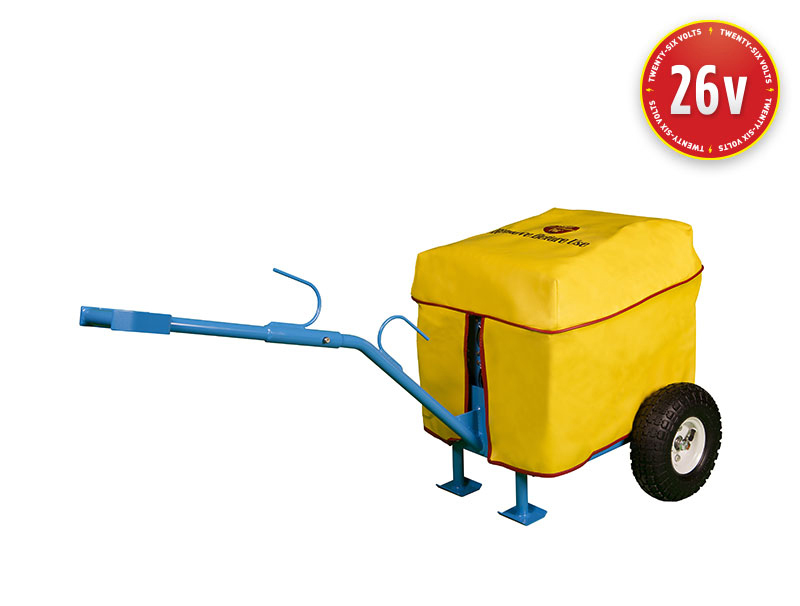 This unit should always remain plugged in when not in operation to gain the maximum life of the battery bank. Leaving the unit plugged in prevents the Low Voltage System from being triggered so that the chargers maintain 100% battery charge without ever over charging the batteries. The GPU is rated at 3200 peak starting amps and a continuous 200 Amp DC output when connected to a 220 Volt AC source. The Li3326QC weighs approximately 165 lbs. and is pulled by hand or tug. Locking the handle in an upright position sets the GPU brake. 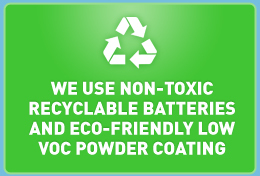 The environmentally friendly durable low VOC powder coating helps to make this unit weather resistant and the recyclable non-toxic lithium batteries can be easily and safely returned to the Earth without any detrimental environmental repercussions.